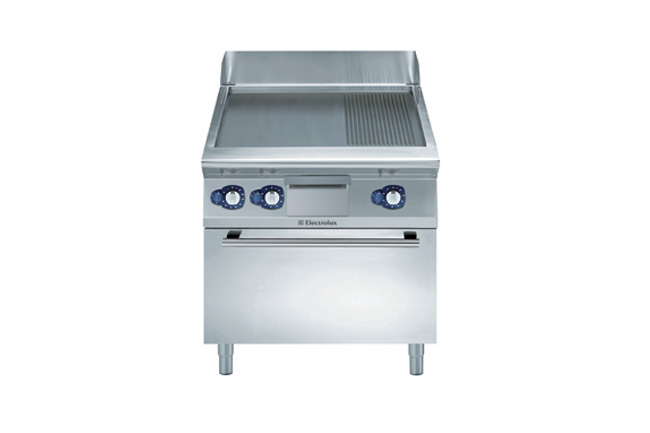 To grill different types of food and suitable for immersed cooking. Excellent heat exchange and fast cooking. Suitable for meat and vegetables. Maintains/spreads heat at plate level and long-lasting brightness of plate surface. Suitable for fish, cheese and eggs. Good heat exchange, low environmental emissions and long-lasting brightness of plate surface. Suitable for meat, fish and vegetables.